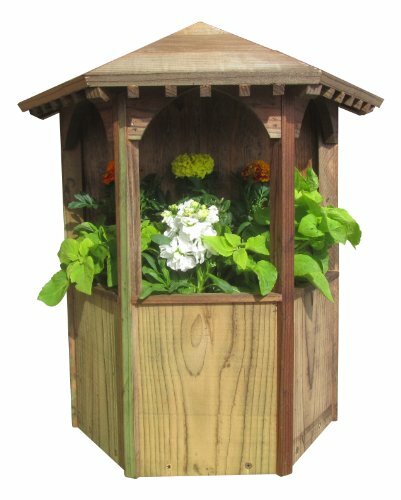 Our wall mount planters with roof details will enhance any yard or patio. Made of Douglas Fir and Plywood, treated with semi-transparent brown wood preservative and ready to plant and hang. The bottom of the planters are half hexagon.